Offer only applies to lower 48 states. If other items are ordered, shipping will be calculated for those items only. Ditch the harsh ingredients and create handmade soap. It’s easier than you think. 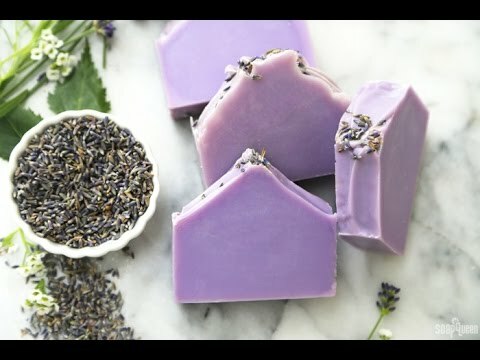 We handpicked the ingredients you need to make skin loving natural soap from scratch. The kit includes 100 percent pure essential oils, natural botanicals, soapmaking tools, and a reusable mold. Plus, it SHIPS FREE to the lower 48 United States and it comes in its own box so it's great for gifting. From mixing your oils to labeling your bars, this kit will walk you through every step. Please note, If other items are ordered from Bramble Berry, they will be shipped in a separate box and shipping rates will be based on those items only. This kit only ships to the lower 48 United States. Email this project to your friends. Let us know how it went by leaving a review, asking a question, or uploading your project photos.